You’re not alone if you find the holidays to be a stressful time. Competing demands from family, work, and friends can put a strain on you mentally and emotionally. 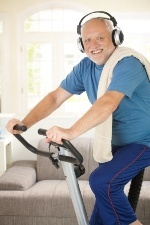 To combat any additional stress, consider setting aside some time to fit in these three alternative remedies that can boost your mental health—exercise, recreational activities, and music. According to researchers at the Department of Psychiatry at Queen’s University in Canada, not only will exercise, recreational activities, and music therapy help to get you through the stress of the holiday season, but they can also help treat more serious mental health issues. These days, many medical practitioners are searching for non-pharmacological therapies to treat dementia symptoms. The consensus opinion is that there’s no point in giving medication that could cause symptoms like depression and anxiety in patients who are already struggling with dementia. So, the Queen’s research team set out to find the best alternative treatments. They searched a number of electronic databases and found 40 studies that met their inclusion criteria. The research team found that the three most frequently successful treatments were making sure dementia patients get some exercise, getting patients involved in recreational activities (anything from board games to cooking classes), and, perhaps surprisingly, music therapy. They also found that these methods had positive effects on other mental health issues, including dementia. If the stress of the holidays is getting you down, it might be a great time for yoga, tai chi or just sitting down with your favorite music. Seitz, D.P., et al., “Efficacy and feasibility of nonpharmacological interventions for neuropsychiatric symptoms of dementia in long term care: a systematic review,” J Am Med Dir Assoc. July 2012; 13(6): 503-506.e2.